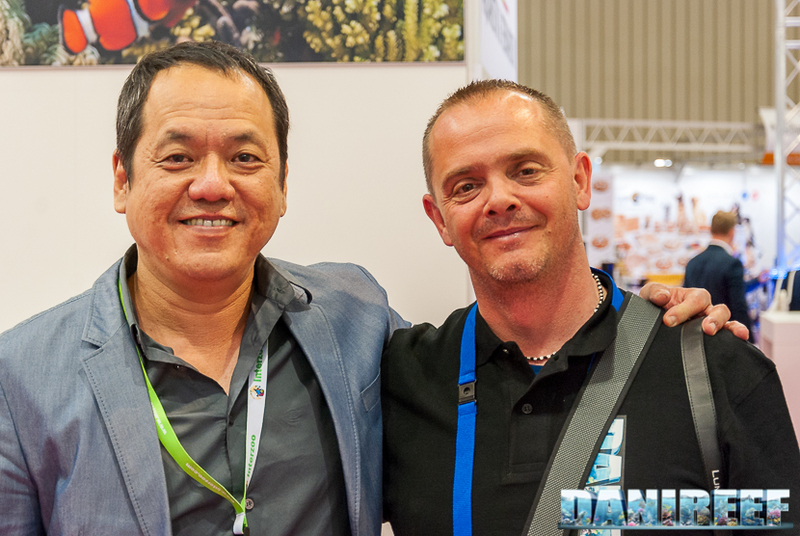 It’s always a pleasure meeting John Ong that presented us the booth, even if the news were the same of the CIPS of Shanghai (article), and we remind you the new balling container. 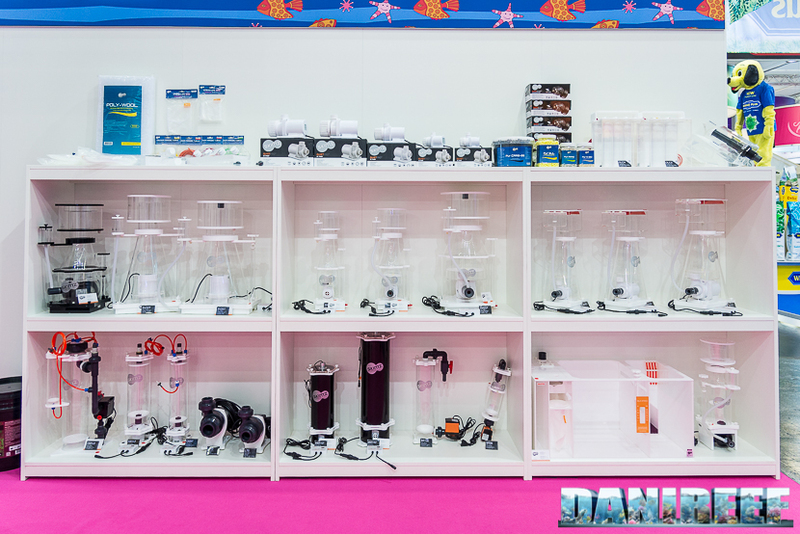 In fact this year Skimz has brought on show the Liquid Dosing Container (DLC) for the Balling (article), and the QuietPro DC Aquarium Pump we’ve presented during last year (here the article in italian), in addition to the Macroalgae Reactor (here the article in italian). As you can see in the following picture the products on show belonged to different categories, since they’ve decided some products for each category. 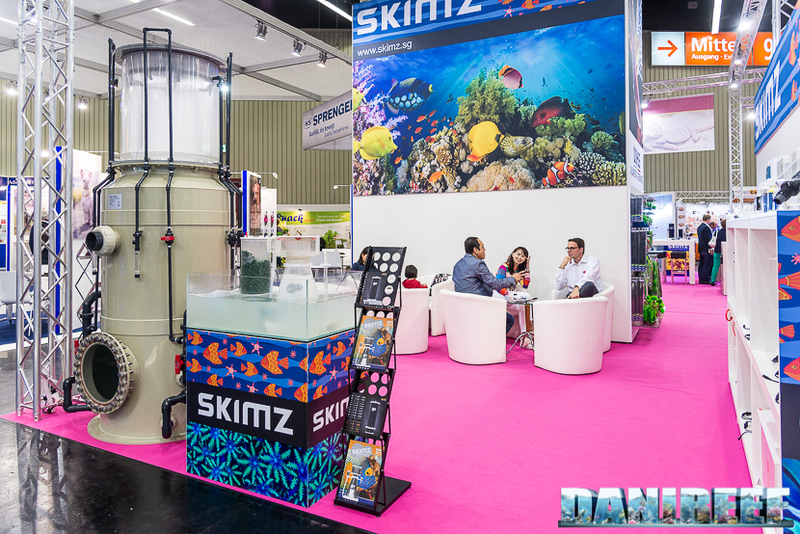 Like two years ago, a Skimz Sumpro sump thus prepared is very appealing. 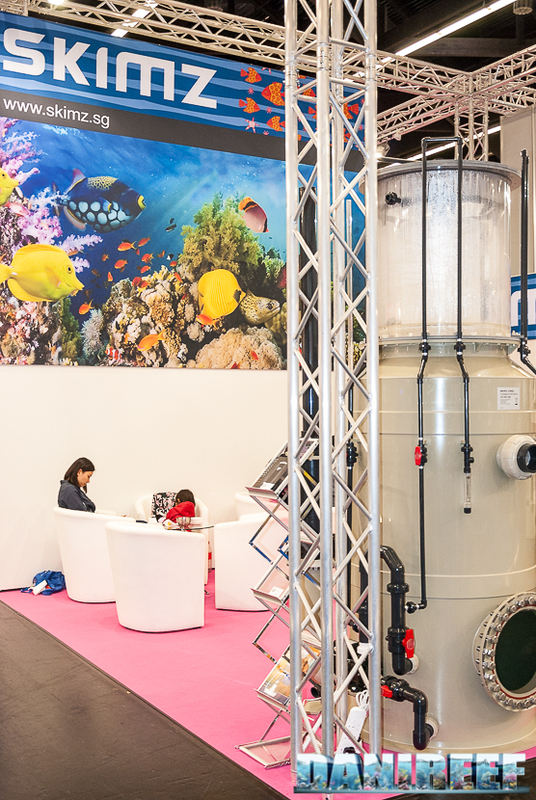 The Skimz Commercial TurboMagnum Protein Skimmer was another interesting thing of the booth: it showed Skimz‘s attention towards the big systems for public aquariums and aquaculture fish farms. I think that no one of us hobbyists needs a protein skimmer like that, with a much greater volume than the domestic tanks. It would be nice to visit Skimz in Singapore, who knows if sooner or later we will. Now we have knows that Skimz products are distributed in Italy from AGP, so wait to have some products ready on the shop..
For further informations about Skimz and its products we send you to its official website. 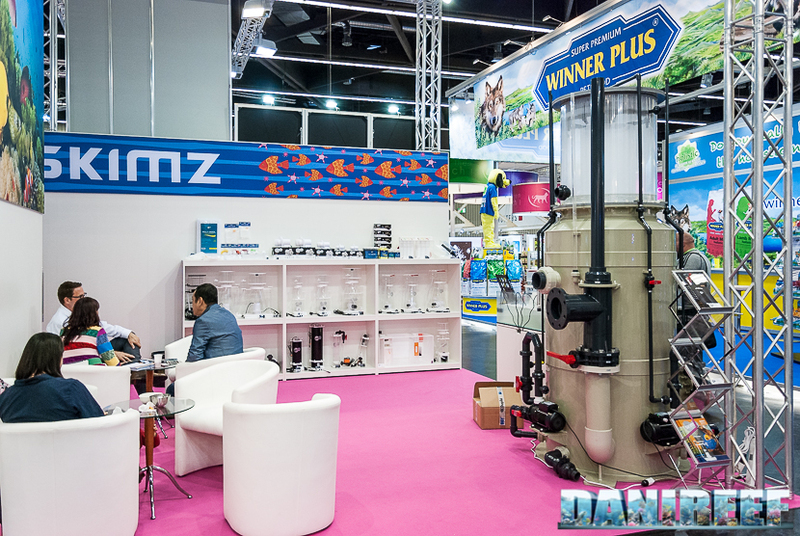 We invite you also to read our Editorial about the fair to know our point of view on the Interzoo 2018 and to consult the links of the articles dedicated to the booths we’ve visited until today.